In September each year, Get Reading! runs a month-long, nationwide campaign focused on inspiring more Australians to discover or rediscover the pleasure of reading. 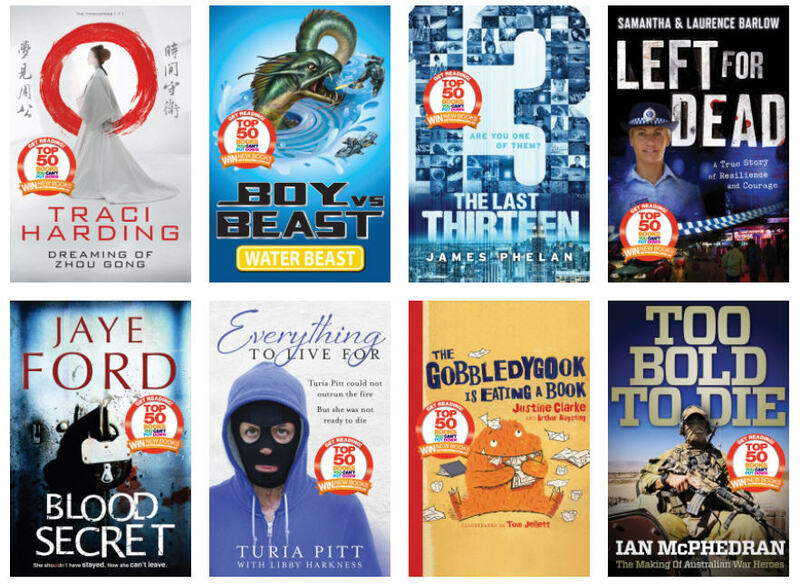 The 2013 Top 50 Books You Can’t Put Down again delivers a wide range of books for everyone to find their next favourite read. Hand-picked and curated by a panel of industry experts, the guide guarantees you will find a great read, no matter your personal taste. 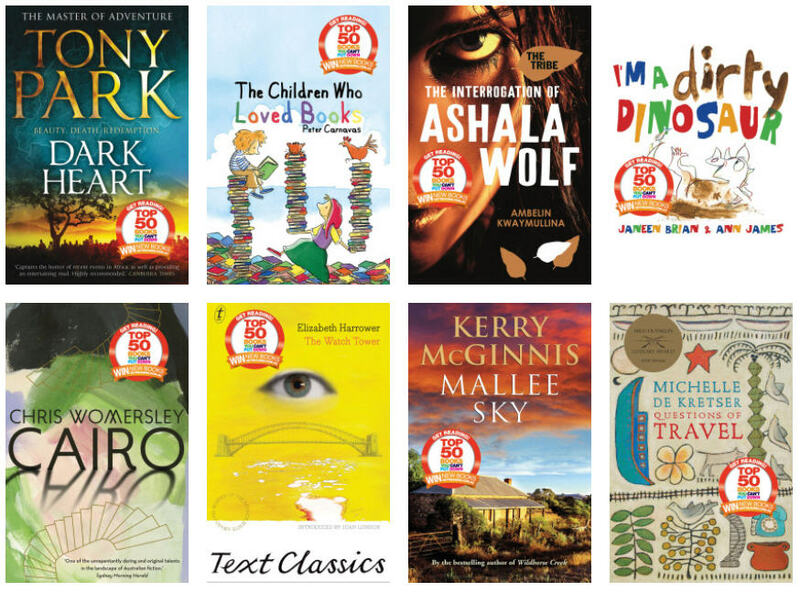 From authors who are all Australian, the list contains something for everyone, from picture books to history, memoirs to popular fiction, award-winners, classics and more. The guide will be available from Sunday 1 September on the Get Reading! website (desktop, tablet and mobile optimized). It is also available to download as an interactive PDF, and for the first time, as a multi-touch book for the iPad, available on the iBookstore. I have read a few, like Good News, Bad News by Maggie Groff, Three Hours Late by Nicole Trope , A Bitter Taste by Annie Hauxwell, Man Drought by Rachael Johns and Blood Secret by Jaye Ford , others I will be reading this month and some are still on my wishlist. Which books have you read, or want to read? Previous Review: The Cry by Helen Fitzgerald Next It’s Monday! What Are You Reading? 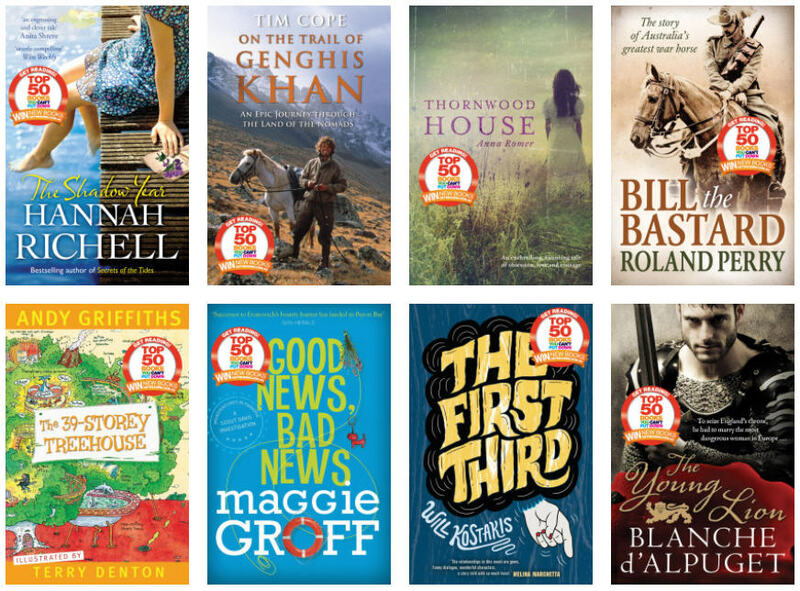 I’ve just finished A BITTER TASTE and have read BURIAL RITES and GOOD NEWS, BAD NEWS earlier this year – all good books so can see why they would be included on this list. 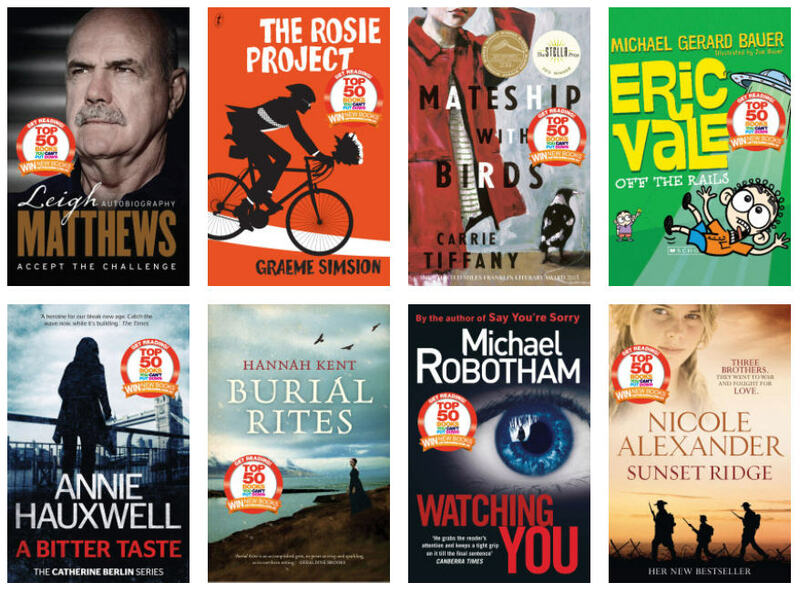 I’ve got a couple more of these to read, including an audio version of the Michael Robotham book lined up on my iPod. So great to see ‘Ashala Wolf’ on there! Some of the books on the list are kinda no-brainers, like “The Rosie Project” – I think everyone knows how great that book is now, and why it should be a must-read. I often wish these lists included a few more ‘out-of-left-field’ titles that I genuinely would not have known to pick up. But I get that these ‘Unputtdownable’ (hate that word) lists are very rarely for the avid-reader. I suspect they’re more for those looking for beach reads and Christmas gift ideas. I wish they also bought out a list for the more dedicated Aussie reader that was something like ’50 Books You’re Not Reading, But Should Be’. That would be cool. Great idea Dani, maybe we should do that! Pleasantly surprised to see what made the list this year. I highly recommend Burial Rites and am hoping to read The Night Guest and Mateship With Birds. 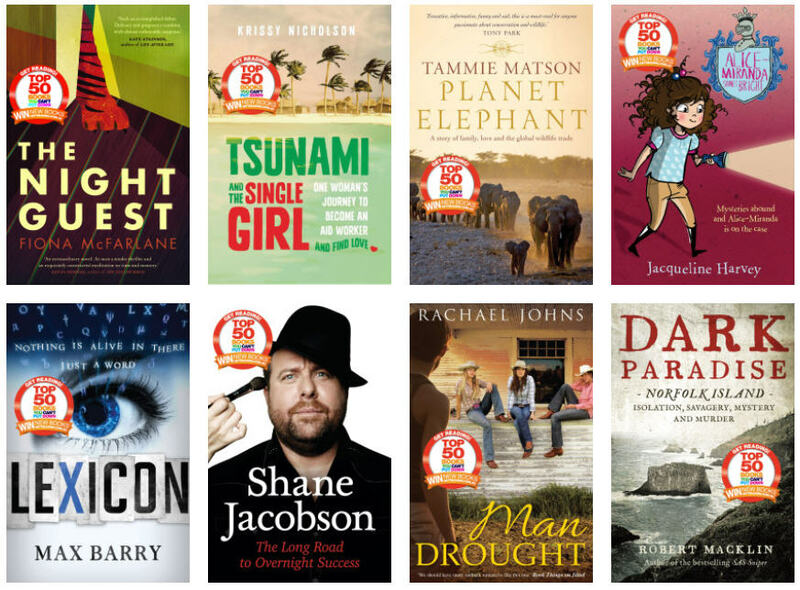 It’s difficult, of course, to create a list of fifty books that is going to please everyone, so naturally there are a few titles that I might skip, but still, I think the Get Reading! programme is a great one and an excellent way to get people talking about books. My thoughts? These books look absolutely yummy. I’ve put the titles on Pinterest. I’m waiting for one title, Burial Rites. Having just visited Australia, I’m looking for good Australian fiction! I really want to read Mateship with Birds but it wasn’t published in the U.S. last time I checked. I’m sure I can find some other good ones on this list. I haven’t read any of these yet, but I’ve good things about Burial Rites, so that’s one I’d like to read. Apart from it, Three Hours Late, and Left for Dead are looking good too.